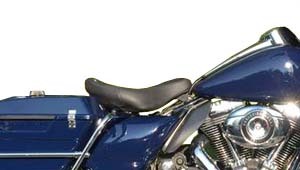 PBSB-1: This Police Bike Seat Bracket allow you to keep your stock solo seat while lowering the seat 2' and moving it back 1-1/2". It completely eliminates the air ride suspension. Bolt-on easy installation, typically less than 1 hour. 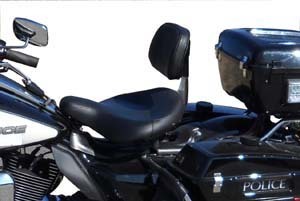 Gives you the ability to add a passenger seat and backrest. ​Will install stock solo seat to any "FL" model from model year '09 - present. 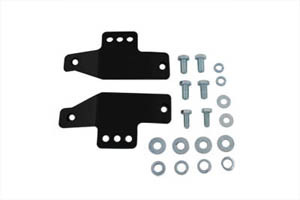 Kit includes seat bracket, rear mounting bracket, all hardware, rubber foot cutting guide and leather wire cover. 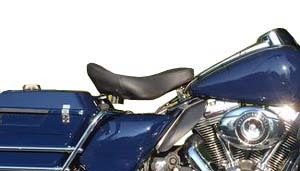 Backrest: This innovative Police Air Bladder Seat Backrest is an excellent ergonomic product for discriminating owners of Harley Police bikes w/Air Bladder Seat. The Driver's Backrest fits with absolutely no modifications. 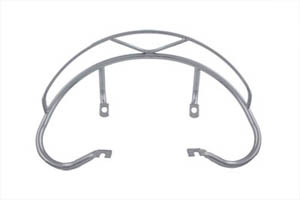 Install this accessory in a few minutes, adjust it to your liking, and you're ready for the open road. Those lower back pains that you had without a backrest are now gone, and you can enjoy mile after mile of comfortable riding. 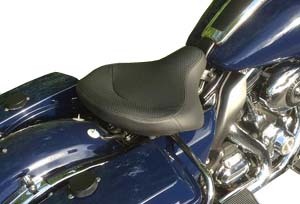 These backrests are hand crafted to the highest standards of design, and they match the stock saddle fabric perfectly. 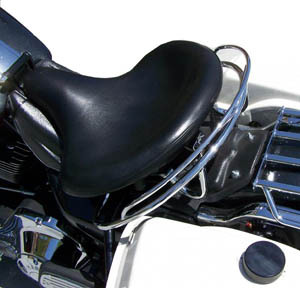 PSR-507: Replica chrome handrail is for buddy seats and police solos. Handrail is a direct mount on buddy seats. 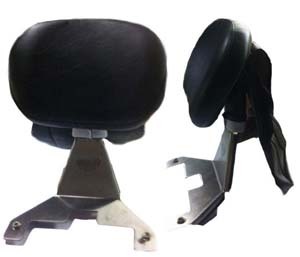 It is a custom application for police style solo seats. Buddy seat skirt must have hole drilled to accept this hand rail. Order mount kit for Police solos, separately. Fits: FL 1949-1973, WL 1949-1952, custom later model applications. 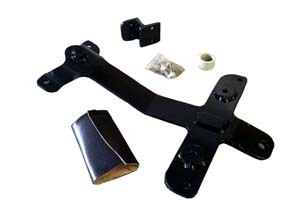 MK-61: Kit allows attachment of rail to stock seat T bar or Replica type when fitted with leather police style solo seats with or without skirts. Fits:Custom application for police style solo seats.